Not that old argument again, what makes a club Legend? Its very easy to use the term nonchalantly and almost dismissively but legends of a club evolve in numerous ways, through achievement, longevity, personality, commitment or even over a simple solitary incident. Legend in the Dictionary reads “Someone famous or infamous and admired, usually for their ability in a particular area” or to look at it another way “An old story, not always true, that people tell about a famous event”. How can you answer that question quickly and without contemplation? 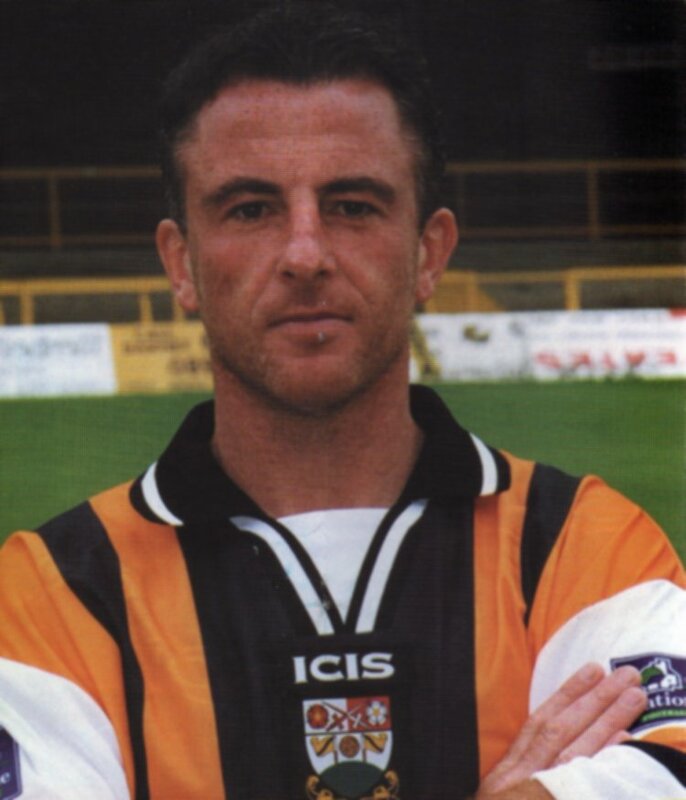 What did immediately spring to mind however was the story of Gary Phillips that I had heard again just the other day when he went on a short term loan to our arch rivals Enfield in the 1990's. A spectator shouted at him, “Phillips you're s***!” Sumo's reply was “Yeah mate that's why I am here”. - you see Barnet legend! Is that the best example? Probably not as Gary Phillips certainly deserves the tag for other reasons too – a decade and more as a player/coach/manager and scout. Plus the greatest Flashman v Fry saga story teller and the most reliable after dinner speaker the club has ever had! But I am getting ahead of myself. 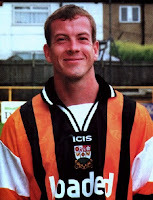 In truth my list of Barnet Legends contains persons with one or more of the aforementioned qualities and so much more. In the second part of this article I will hopefully justify my selections of Barnet legends but for now let us consider our opinions. I committed that wonderful Phillips tale to the clubs Messageboard purely as a laugh but a long thread started to germinate. 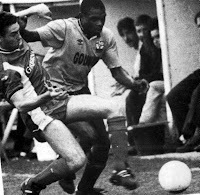 John Akinde – top scorer and Player of the Year in a Conference winning season, would we have won the title without him? 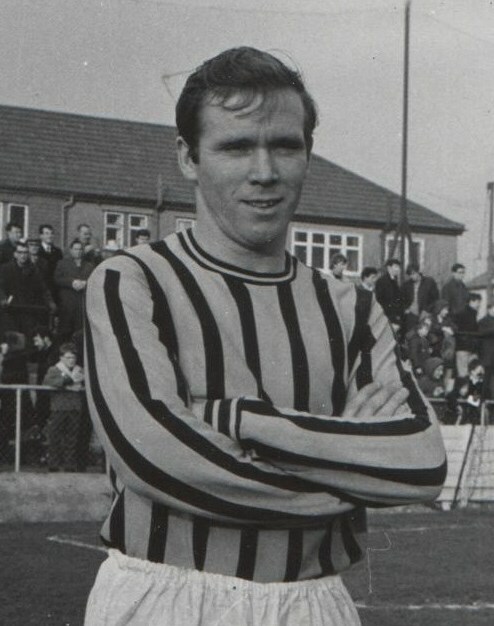 Frank Murphy – A Darling of the West Bank and scorer of perhaps the greatest individual goal ever seen at Underhill plus many others featuring his George Best-like skill. John Margerrison - another wonderful player full of skill and entertainment. It took a while to sink in with supporters that the club had signed someone with this much ability, totally in control and casually strolling around in the mud, coolly rolling the ball around before unleashing a brilliant defence splitting pass. Barry Fry has said that he never coached Marg he just told him to do what ever he wanted! 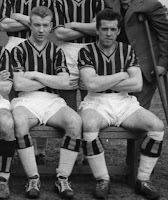 Tony Harding and Reg Finch – before my time I admit but huge crowd favourites and long serving players from the 1950's and 1960's. 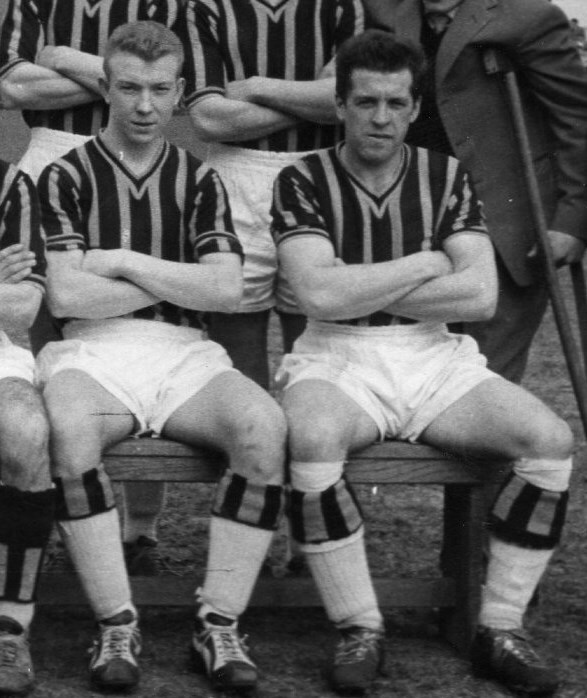 Colin “Paddy” Powell – the greatest winger ever seen at Underhill? 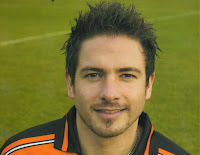 Barnet Manager Dexter Adams signed him without actually witnessing him play such was his reputation. Andy Clarke – a contender for Paddy's greatest winger tag but The Dark Shark had everything. Electric pace, power, tricks and able to leave defenders completely dazzled. He was found playing park football by Fry aged 22 and eventually moved to Wimbledon for a massive, and then club record transfer fee of allegedly £300,000, a non league record too. Paul Wilson – long serving defender who stayed with the club through the thick and thin years with 100% commitment every game. Herbie Smith – Infamous terrace hero after his four minute debut at Lincoln City before being sent off. 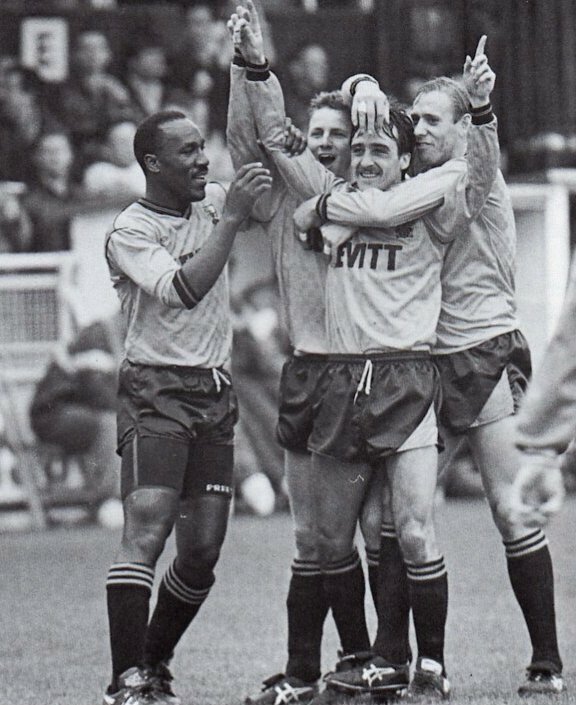 His iconic status was enhanced when he scored his first Barnet goals at Wealdstone – on his knees in front of a huge Bees following that day he had the biggest smile ever in Barnet folklore. Roger Figg – many senior supporters who still attend games name Figgy as their first hero and a magnificent scorer of close to 30 goals for six seasons in succession. 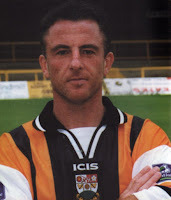 Gary Bull – for the same reasoning as John Akinde, would we have won the title without him? Giuliano Grazioli – more of the same but the Chairman Tony Kleanthous also felt enough respect for Graz to name the Hive West Stand Bar in his honour. Dougie Freedman – another terrace hero who played the major part in turning the club around after the relegation of May 1994 not only by scoring some breath-taking goals. Sold to to Crystal Place for £800,000. 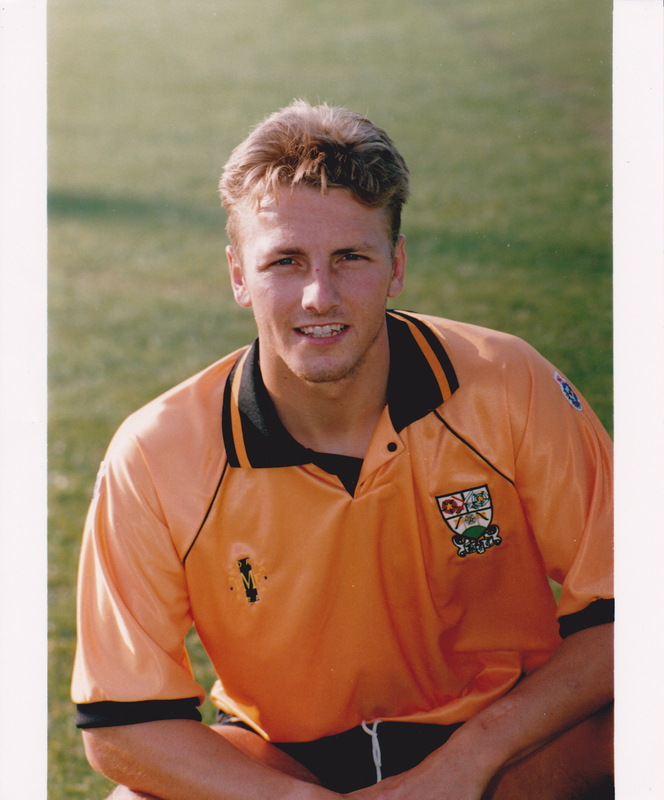 Greg Heald – still the clubs record transfer signing of £130,000 from Peterborough United. Spanker Ridley – player in the early 1900's purely because of the greatest name ever for a Barnet footballer. Arthur Morris – scored over 400 goals for the club between 1927- 1936. Oscar Linkson, Ian Hendon, Billy Meadows, Gerry Ward, Denis Kelleher, Kevin Millett, where will it end? For certain you all have your nominees but writing space is at a premium I'm afraid but I am sure you get the picture, each player or character is diverse in reasoning and wide open for juicy discussion. If you are able why not contribute to the thread on the Club Messageboard and make your comments. In part two of this article I will let you into my choices of, and humble opinions on who I consider the persons eligible to be given the term Club Legend. I wager you can't wait! Spanker also played for Woolwich Arsenal and won a medal for bravery in Ww1 for commandeering a German heavy artillery piece.